On July 6th, the Belgian National Soccer team advanced to their second World Cup Semi-Finals by defeating Brazil in a thrilling 2-1 contest in Russia. 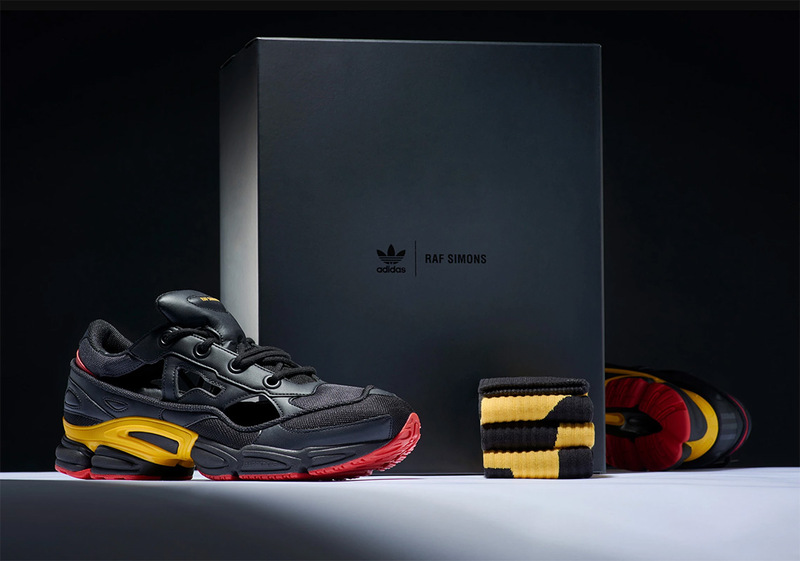 Now, long time adidas collaborator and Belgium native, Raf Simons, is set to release an appropriately-colored Ozweego Replicant selection dressed in the black, yellow, and red of the Red Devils. Much like his other collections of the same silhouette, this Replicant will come housed in special packaging that is accompanied by a trio of colorful socks that are meant to be worn with the deconstructed sneaker that sports cut-outs in multiple areas. Dressed primarily in black, the red, and yellow hues of the Belgian national flag come into play on elements the likes of its tongue branding, heel, and outsole. Pairs of this patriotic Ozweego Replicant are scheduled to arrive at select Three Stripes stockists on July 11th with a customarily high MSRP of $435 USD. Peep a detailed look below as well as some of your best bets at securing this intriguing collaboration before they sell out.